I have meaning to post about these for soo long! I got them a few weeks ago, kept them in my kit and forgot to review them, oops! I have seen these in Superdrug for quite a while and although I was attracted to the colours, I couldn't bring myself to buy them. 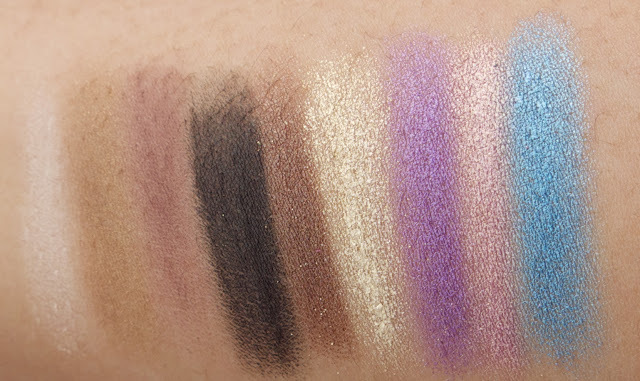 I was in a little 'Mac bubble' and was certain I wouldn't be happy with any other brand of eyeshadow, especially one so cheap in comparison. However, after reading countless good reviews online I thought I had to give them ago. Not to mention, I had a couple of freelance jobs coming up and thought my kit could do with a little injection of more colour. Well I'm very glad the online reviews persuaded me! 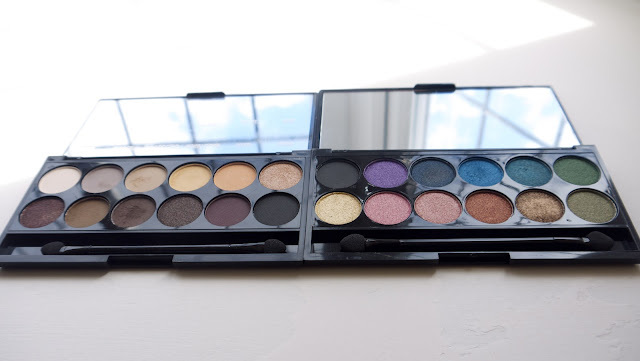 These palettes are a steal at £7.99! There are 12 colours in each palette, and the range of palettes is very impressive. 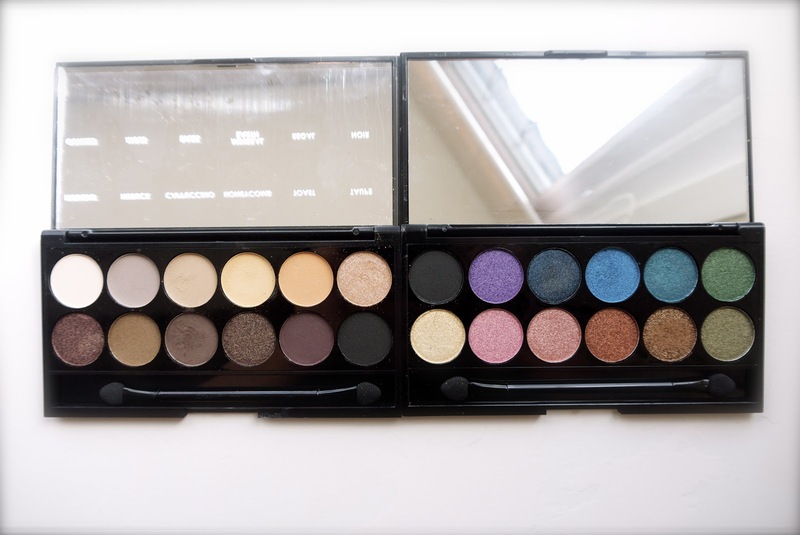 I bought the Au Naturel and the Original palettes; I wanted one with neutrals and one with more eye catching colours. I've swatched a selection of colours from the two palettes below to give an example of the great pigmentation of the shadows. I'm not lazy, I just didn't have enough forearm for 24 colours! I would be lying if I said I preferred these to Mac, but they are not too far behind! Very very good for an excellent price. I'd definitely recommend these to someone who is just getting into using make up or someone who wants to add to their collection in the most cost effective way.